All-session tickets include seats for all 12-games in the six sessions for both the men and women. The tickets are available by calling 575-646-1420 or by visiting the Pan Am box office. For hotel reservations for the tournament, contact the Orleans Hotel and Casino, 1-800-675-3267 or www.orleanscasino.com. 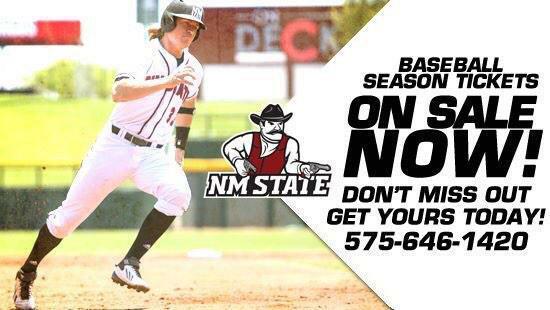 To get the special room block rate, let them know you are with NM State for the WAC Tournament. Again this season, Aggie fans may register to stay informed of pep rallies and receptions during the tournament. Register your email and/or cell phone email to Cathy Steele with the Aggie Athletic Club at cgsteele@nmsu.edu or phone, 575-646-5151. Be sure to include your name along with contact information and indicate it’s for the WAC Tournament.